Just one portion of the popular Scenic Route 100 Byway. Photos courtesy Vermont Department of Tourism and Marketing. Traveling off the beaten’ path is a great way to discover all of the attractions, the New England culture, and several activities in the State of Vermont. There are many camping opportunities along these four RV-friendly byways and to custom tailor your RV experiences, www.campgroundreviews.com is a great start to find the ideal campground for your lifestyle. 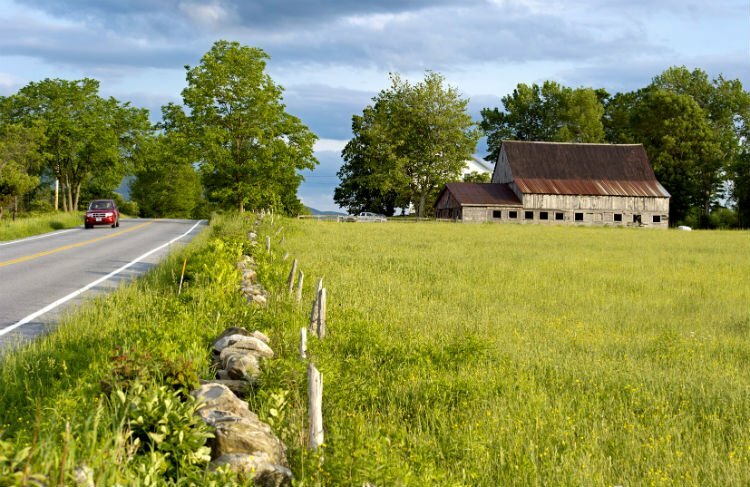 The scenic community of West Dover, VT.
At approximately 140 miles, Scenic Route 100 Byway runs north to south and is considered to be one of the most scenic routes in the New England. It’s also referred to as the Skiers Highway due to its access to some of the finest skiing in the Northeast. Come summer, this byway leads along the edge of The Vermont Green Mountains and there are more than 20 towns to visit. 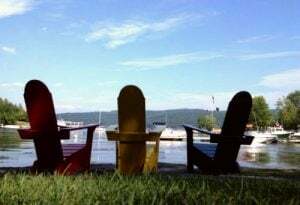 Some of the popular highlights include the Black River, Lake Rescue, plus Amherst and Echo Lakes in the south and spectacular, mountain views to the north. Many popular areas include Thundering Brooks Falls and Killington Peak, the second highest summit in The Green Mountains at 4,229 feet. The route also offers some very interesting history. RVers can visit President Calvin Coolidge’s birthplace at the President Calvin Coolidge State Historic Site in Plymouth, or see where President Coolidge went to school at the Black River Academy Museum in Ludlow. No matter what the plan is– whether it’s visiting one of the many other historical attractions, enjoying the series of outdoor activities, or just spending a day shopping or dining, chances are high you will be successful in your findings. The Molly Stark Byway leads through various terrain, ranging from the Green Mountain National Forest to commercial centers such as downtown Brattleboro. The Molly Stark Byway – Vermont’s southernmost byway – runs east to west and leads RVers on a 48-mile journey along Route 9, from Bennington to Brattleboro. Steeped in history with many attractions, enthusiasts could easily spend a lot more than the estimated two-hour driving time exploring all the scenic communities along the way. In Bennington, checkout the Bennington Battle Monument, the tallest structure in Vermont, which commemorates the conflict of the area during the America Revolutionary War or visit the grave site of American Poet Robert Lee Frost at the Old Bennington Cemetery. Activity abounds in Woodford, which is home to 14,000 acres of the Green Mountain National Forest or explore the nearby community of Searsburg, a tiny village home to several peaks reaching more than 2,000 feet. In Wilmington is a series of waterways, more than 60 historic buildings (with century-old architecture), plus several restaurants, galleries and shops. To admire the landscape of surrounding regions, visit Marlboro that is home to Hogback Overlook offering excellent views of Southern Vermont, Northern Massachusetts, and New Hampshire. The Southern Vermont Natural History Museum or the Marlboro Music Festival series throughout July and August are other highlights. 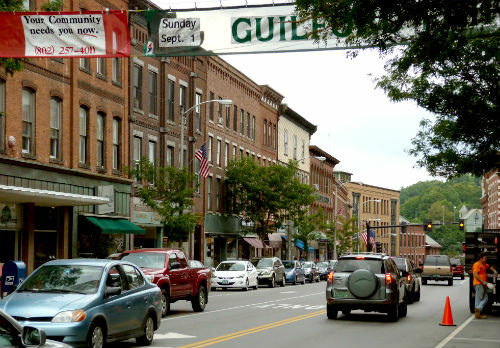 Brattleboro is one of Vermont’s largest towns with more shops, galleries, and restaurants while more excitement is at the Connecticut and West Rivers, which afford opportunities for kayaking and canoeing. The Brattleboro Museum and Art Center and Living Memorial Park are other attractions to visit. Scenic Isle La Motte among The Lake Champlain Islands. The Lake Champlain Byway in Northwestern Vermont runs north to south with U.S. Route 2 (via Grand Isle County), U.S. Route 7 and part of U.S. Route 2 in Chittenden County being the main arteries. In all, this byway stretches 134 miles. Some popular areas (but not limited to) are the Greater Burlington Area, The Lake Champlain Islands and Addison County. Burlington is where The Ben and Jerry`s Ice Cream empire was founded and after enjoying a savory cone, stroll through Waterfront Park or ride along the Burlington Bike Path. The Church Street Market Place is another attraction as is The Ethan Allen homestead, Birds of Vermont Museum, Lake Champlain Maritime Museum and the aquatic center of ECHO Leahy Center. If you prefer country driving, plan a visit to the outskirts of Colchester, Charlotte, Milton, and Shelburne. Well worth the drive, the Lake Champlain Islands are located between the Green Mountains of Vermont and the Adirondacks in New York State. Access is by ferry and the many causeways or bridges. 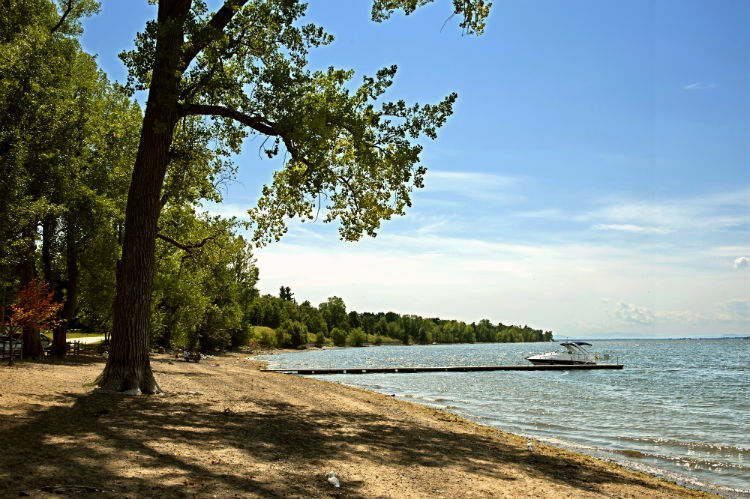 Be sure to visit North Hero with its fine dining and outdoor theatre or Alburgh for its biking trails, sand dunes, farmstead dairy products, and five Vermont State Parks. Isle La Motte and Grand Isle are other communities to experience. Addison County is another region offering a mix of scenery, shops, galleries and historical attractions. Three main hubs include Middlebury, Bristol and Vergennes, while less populated communities include Lincoln, Shoreham and Starksboro. There are many beautiful settings all throughout these byways. The Connecticut River Byway is designated as a national scenic byway and the longest byway in Vermont. It stretches 410 miles and runs north to south through Vermont and Hampshire and down into Massachusetts, along the Connecticut River. RVers can travel both sides of the river, but regardless of the route chosen, touring along this byway means passing farmlands and forests, plus many rural communities in between. In all, there are approximately 53 communities between Vermont and New Hampshire. Perhaps visit the Fort at #4, the military outpost in Charlestown, NH. 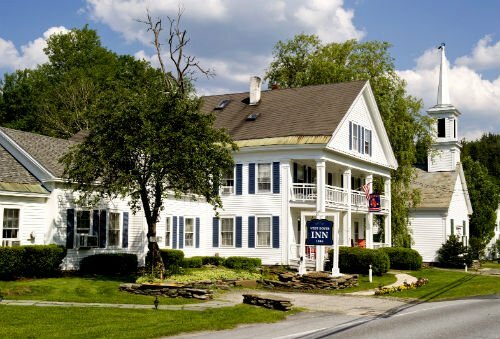 that was built in 1724, enjoy some outdoor activities in Claremont, VT. or visit St. Johnsbury, VT. where you can admire some of the finest Victorian-era architecture in North New England. This is also where visitors can check out the popular Fair Banks Museum and Plantation. Other museums along this expansive route include The Montshire Museum of Science in Norwich, and the American Precision Museum in Windsor, both located in Vermont. Heading south into New Hampshire, owners of smaller RVs and trailers will want to cross the 465-foot Cornish-Windsor covered bridge, an engineering marvel connecting Vermont to New Hampshire. It is also the second longest covered bridge in the United States. Thanks for the info. We are staying in Vermont mid June through November 1st. Will have plenty of time to check these byways out. You are very welcome. Enjoy your trip!